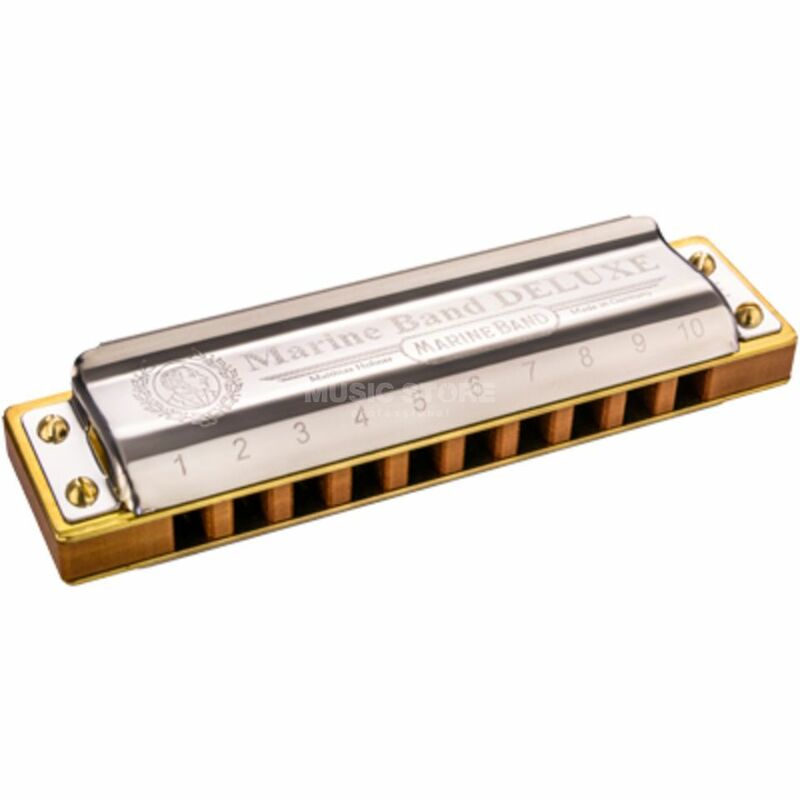 The Hohner Marine Band Deluxe F 20-Tone Harmonica is a 10-hole diatonic harmonica in the key of ‘F’ that puts a contemporary spin on the classic Hohner Marine Band range. Using its legendary, best-selling forebear as a starting point, the Marine Band Deluxe offers enhancements such as an improved cover design for greater volume and stability, a sealed comb, and rounded channel mouthpiece openings and corners. A logical choice to take your playing to the next level, this harmonica is quickly being adopted as the preferred choice of professional players worldwide. If you play a Marine Band harmonica, you owe it to yourself to discover the next generation. Conceived as a simple instrument for folk songs, the Marine Band has played a vital role in the development of the blues, folk, rock and pop music. With its inexpensive price and range of playing capability, the Marine Band harmonica rapidly became the people‘s instrument, played in every conceivable location from the back porch to the concert stages of the world, featured in countless hits and film soundtracks and immortalized in literature. This amazing little instrument has shaped modern music and culture.